This string quintet (with two violas or three violins) was composed in 1799. It is tuneful and straightforward, and suitable for players who are not yet at the standard required to play the Mozart, Dvorak or Brahms quintets with two violas. This edition has the advantage of having a third violin part included if two viola players are not available. Johann Michael Haydn was the younger brother of his much more famous older brother Franz Joseph – commonly regarded the “father” of the classical string quartet format. Michael was born in 1737 in Rohrau (Lower Austria) and died in Salzburg in 1806. In 1777 he was appointed organist at the Dreifaltigkeitskirche in Salzburg when Mozart was that city’s cathedral organist. When Mozart gave up that post in 1781 Haydn took it over, adding it to his work at the Dreifaltigkeitskirche. 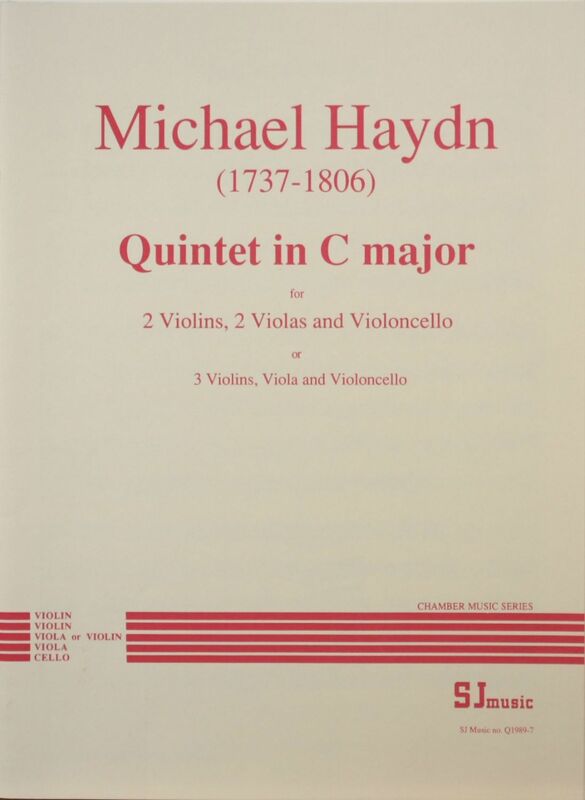 Michael Haydn is mostly known as composer of sacred music, even though he did, in fact, write a lot of secular music.